The smart e-learning kits and exercise books we are launching today will indeed be useful in building a knowledge base for learners, which is integral in the modern and fast-changing world of today, as well as critical to the achievement of vision 2030. These materials must be adaptable to our situation and touch on science, technology, ICTs, health, environment, gender, HIV and AIDS, among others. 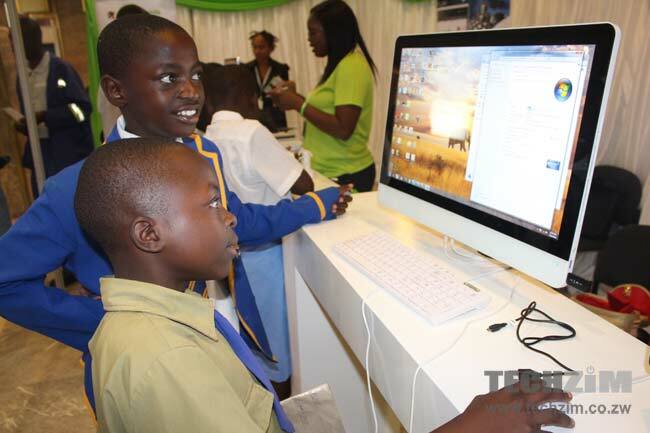 With education being something Zimbabwe takes pride in, e-learning has the potential to play a pivotal role in the transformation of the delivery of quality education. Speaking for myself, I have seen how the spread of new forms of technology-assisted learning is making a real difference in the lives of some Zimbabweans. One example is the agriculture sector, where mobile phones and tablets are making some telling contributions to the spread of training and information about better forms of crop management and animal husbandry. Accordingly, I’m confident that this e-learning programme will yield good results for our education if the government gets serious with it. The seriousness can, at first, be exhibited by the government buying the e-learning kits rather than to wait for more donations. Irrespective of the small number of e-learning kits that kicked off this e-learning programme, I hope it will be a herald of a wider (countrywide) issuance of e-learning tools and resources. If you tie this with the President’s hope to see Zimbabwe achieving 100% e-learning capacity in 5 years time, then I can conclude that the e-learning market may soon grow. So, the launch of this e-learning programme may have, inadvertently, served to inform startups or app developers to start brainstorming about relevant digital educational solutions. These DevTech guys are probably just trying to get their foot in the door. The donated gadgets require e-learning software, support, configuration and installation. And, they’ll probably get that job. Their “investment” will probably not yield returns after a connected person brings in their alternative e-learning solution (unless DevTech is already connected).